The Crumbs Project in Bournemouth is launching a series of free practical skills workshops for disadvantaged people courtesy of Santander Foundation UK. The Crumbs Project in Bournemouth has been awarded a charitable grant to fund local practical skills workshops for disadvantaged people. 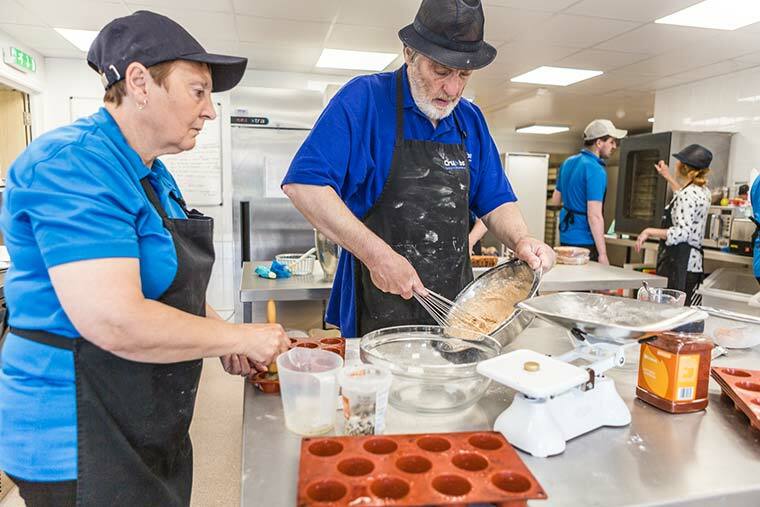 Cook and Learn workshops will launch this month giving individuals with mixed abilities the opportunity to learn practical culinary skills and gain experience of working in a professional catering environment. A free taster session is available to people aged 18 and over who have experienced mental health issues, learning disabilities, acquired brain injuries and stabilised addictions. “We are committed to supporting charities like The Crumbs Project to help them make a difference for disadvantaged people in the UK,” said Santander Foundation UK. With January already fully booked, the next available workshop is in February.